If Zhong Lin Wang (Georgia Institute of Technology) and Jong Min Kim (Samsung Electronics) are successful, we might not to lug around heavy batteries for our mobile devices anymore. The two guys, together with their teams, have unveiled a prototype of their pet project – a flexible energy storage device. This flexible energy storage device is made of zinc oxide nanowires which are incorporated into fibers that are used for everyday clothing. 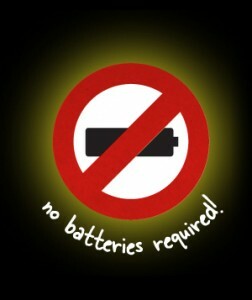 In other words, we just might have shirts and dresses that can function as batteries! The concept is not that new, actually, but others before this current team were unable to make prototypes that were light enough. In making this new prototype, though, the team made use of supercapacitors which are so tiny that they make the idea feasible. More than being light, these supercapacitors are also very flexible, making them perfect for clothing material. Of course, more than the flexibility and wearability, we are also concerned about the power capacity of these supercapacitors. Well, the good news is that they can be recharged very quickly and almost endlessly. Even better, the zinc oxide nanowires can be recharged by the person’s heartbeat or a light wind. So if you need to recharge your batteries – literally – you just need to walk a little faster to increase your heart rate and get a bit of wind blowing on the shirt! It does sound too good to be true, doesn’t it? Since this is all in the development stage, we might not see “battery shirts” in the market any time soon. One thing that is bugging me though: I wonder how much they will sell for?